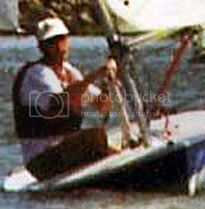 Following excerpted from an email dated 1/27/07 - S/V Red Admiral anchored Dominica, W.I. We've had a wonderful stay here. This is a special place. Before, when coming to the Caribbean, the reason was simply to change the weather and our environment. We came, enjoyed and left, over and over during the years. Our visit this time, and never more so than to Dominica, has allowed us to understand something of the cultural history of the area. Its a completely different orientation and an unexpected benefit of the trip. I can't convey the substance of what we've learned and understood in this medium. But I may be able to share a few of our encounters here and give you an idea of why this island is unto itself. First, it is tremendously rich in natural beauty and resources. As our driver said, "anyone who does not have enough to eat here is lazy." Almost every vegetable, fruit, nut and spice you can think of grows here freely among the natural forest. At one time there were slave plantations dedicated to this production. Since then, the slaves have gone, the plantations have fallen into disarray for the most part, and the forest has reclaimed the land around the crops. So they now are attended to by families and are interspersed among the native flowers and trees. It all seems so natural and uncultivated. 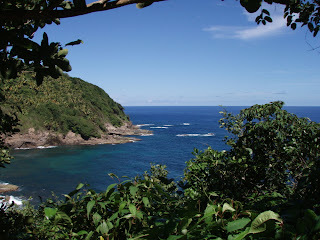 Yet Dominica supplies most of the Caribbean and much of the world with its produce. Second, the people are very forthcoming and friendly with one another and with strangers. They speak English, which of course helps from our point of view. But despite extremely simple, basic living conditions, there is laughter, music and good humor almost without exception. The children wear clothes that are pressed and clean. They may live in our notion of a hovel, but you would never know that from their appearance. Some years ago, in the 1980's, Dominica had a bad reputation in the cruising community. There were thefts, at least one case of murder, and other events which led most guides to say "stay away." 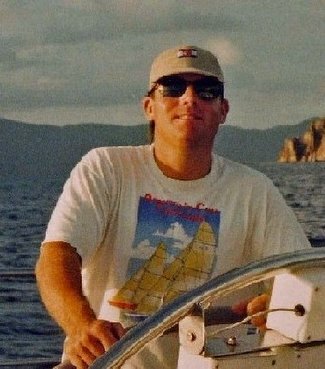 Fifteen years ago a young man (now 35) named "Martin" persuaded everyone preying on visiting yachts to form an Association. He secured government support. Membership required going through an education program in Dominica's history, resources, etc and certification . The group organized security patrols at night. The thefts stopped. Prices were posted for different tours led by informed people. Boats arriving to Dominica did not have to take advantage of this, but if they wanted to see the Island (which is big), it was the natural choice. The guide books changed their advice about coming here. They named and recommended the Association. Now today, many young men are gainfully employed, have come to take great pride in their Island, and make visiting here a unique experience. At some point I'll put together some pictures which will give you a sense of the area. We'll be here another two days and then turn North, beginning our journey home. Oh yeah - one of my favorite islands. Hiking, swimming in waterfalls, snorkelling... so much to do. And everyone is so friendly and helpful. I am glad your folks had a good time. We had a mixed experience. It is beautiful place. Incredibly lush, unspoilt and beautiful in wild humid kinda way. Great diving too. I found the people a bit surly on the whole and the guys who come to your boat to sell you stuff were persistent to the point of harassment. It was probably me though!